Social game developer Zattikka has acquired the license to Monty Python and hopes to make it into the next FarmVille. British comedy group Monty Python's work has been turned into some pretty absurd games over the years, but now that absurdity is going social. 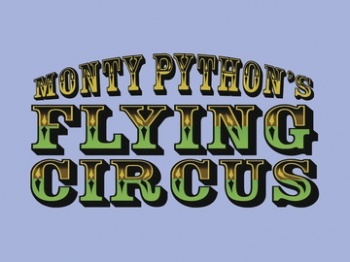 Social and casual game company Zattikka has announced that the license for Monty Python's Flying Circus is under its control and it plans to use it for games on social platforms. Zattikka is a relatively new player in the social market, having been founded in August 2009 by former Virgin Games executives. After securing $5.5 million in funding over the summer, Zattikka has apparently used its newfound wealth to ensure that Monty Python's classic humor would be attached to microtransactions. Monty Python was formed by Graham Chapman, John Cleese, Terry Gilliam, Eric Idle, Terry Jones and Michael Palin in the 1960s and they created a sketch comedy television show in the BBC called Monty Python's Flying Circus that ran from 1969-1974. Its absurd sketches were interlaced with animation created by Gilliam that included the famous Monty Python foot. To this day, Monty Python is seen as an iconic comedy franchise and it went on to span multiple movies, like the amazing Monty Python and the Holy Grail, and other projects. Zattikka says it will be "transporting Monty Python into the 21st Century" by first releasing a social game on Facebook and expanding its presence using the web. The company promises that "it will be a homage to all the characters, settings, sketches and comedic approach that has made Monty Python a worldwide phenomenon." The Monty Python team has actually been involved in the development process, Terry Gilliam in particular, and hopefully are ensuring that Zattikka puts out something worth playing. Details on exactly what Zattikka's Monty Python social games will be like haven't been revealed yet, but the company plans to release more information in early December. I'll be happy just as long as they don't involve growing crops. I don't think even Monty Python can make that fun anymore.